Having good oral hygiene is the best way to prevent dental diseases. You should brush your teeth after meals and at least 3 times a day to be safe. Even though there is plenty of general information available online, there are still a lot of people who do not keep up with a good oral hygiene. This is the most important element and should take at least 2 minutes of your time. Circle for around 30 seconds per quadrant if you divide your mouth into 4 matching parts. 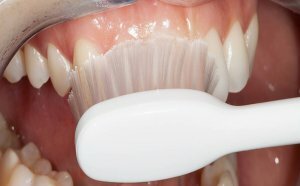 During that time brushing should be done with a 45º inclination of the tooth-brush and small movements from top to bottom in a circular motion. Do not forget the upper, lower, inner and outer dental arch. Besides brushing your teeth, please remember to also brush your tongue. Your tongue is a big source of bacteria, which can spread to the rest of the mouth if not regularly brushed. It is important to use dental floss before brushing. You should use the floss between each tooth in a backwards and forwards motion. It is likely you might bleed during the first few times, just take care you do not hurt yourself. You can also use dental floss after brushing your teeth to enhance that freshness feel. 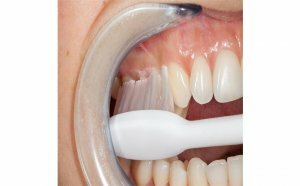 Fluoride is a complement to the two procedures found above. It does not prevent cavities on its own but together with brushing and flossing it will help you maintain a good oral hygiene. 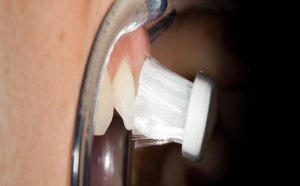 Unlike brushing and flossing using fluoride in a mouth wash solution should be done only once a day, preferably at night-time. These are the most important elements of your oral hygiene. Remember that even if you do not use a mouthwash you still need to floss and brush your teeth to prevent tooth decay. Besides the above procedures, it is essential to remember to visit your dentist regularly. We will be awaiting for your call to book an appointment. If you wish to read more about dental hygiene tips, please visit our Direclin Blog .